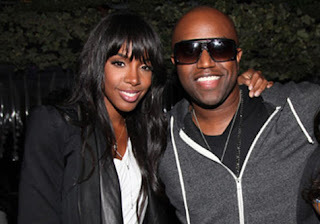 Rico Love is no stranger to working with Kelly Rowland, having penned the Destiny’s Child member’s 2010 dance hit “Commander” as well as the sizzling, Jim Jonsin-produced “Motivation,” the first single from her forthcoming album due this summer. While Kelly’s foray into dance last year may have thrown her stateside fans for a loop, overseas they welcomed the change. But Rico, who’s crafted about 10 to 12 songs for the album, says she’s returning to her R&B roots these days. Fans can expect to hear elements of both classy and sassy on her third solo LP. While Kelly will be driving down the same lane of the radio-friendly R&B tunes that she crafted with Beyoncé and Michelle Williams, she’ll also make pit stops on the dance side of the road. While a tracklisting has yet to be finalized, Rico is confident that “Love Is the Greatest,” a soulful tune he wrote with a distinct reggae vibe, will make the cut.